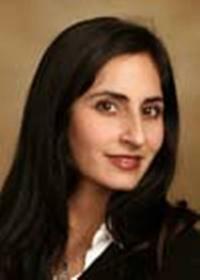 Pardis Mahdavi is the Korbel School's acting dean. Mahdavi received her Ph.D. in Sociomedical Sciences and Anthropology, MPhil in Anthropology and Master's in International Affairs from Columbia University and a bachelor's in Diplomacy and World Affairs from Occidental College. Her research interests include gendered labor, human trafficking, migration, sexuality, human rights, youth culture, transnational feminism and public health in the context of changing global and political structures. She is the author of "Passionate Uprisings: Iran's Sexual Revolution" (Stanford University Press, 2008); "Gridlock: Labor, Migration and 'Human Trafficking' in Dubai" (Stanford University Press, 2011); "From Trafficking to Terror: Constructing a Global Social Problem" (Routledge, 2013); and "Crossing the Gulf: Love and Family in Migrants' Lives" (Stanford University Press, 2016).